In a crucial year across the country for midterm elections, Pennsylvania voters are faced with contentious Senate race. Battling for the open seat are incumbent Senator Bob Casey Jr., and Rep. Lou Barletta (R-PA, 11), both hoping to appease blue-collar Pennsylvania voters, as well as residents of major cities in the Commonwealth. As the race is in full swing, Barletta received a crucial endorsement from the National Right to Life Committee. National Right to Life has endorsed pro-life Rep. Lou Barletta in Pennsylvania’s U.S. Senate election. Barletta will challenge pro-abortion Sen. Bob Casey in November. Lou Barletta co-sponsored and voted for the Pain-Capable Unborn Child Protection Act – legislation to protect unborn children by prohibiting abortion at 20 weeks, a point by which the unborn child is capable of experiencing great pain when being killed by dismemberment or other late abortion methods. Barletta is challenging Sen. Bob Casey (D) who consistently votes against the pro-life position on abortion. Bob Casey has a dismal 20 percent pro-life voting record in the 115th Congress. Rep. Lou Barletta’s pro-life record contrasts greatly with Bob Casey’s. Lou Barletta has a 100 percent pro-life voting record throughout his years of service in Congress. Barletta opposes abortion on demand, and he opposes using tax dollars to pay for abortion. This endorsement comes as a major blow to incumbent Senator Casey, who has attempted to champion the pro-life views of his Father, the late Governor Bob Casey Sr. Governor Casey famously fought Planned Parenthood in the Supreme Court, and is known as one of Pennsylvania’s most iconic pro-life leaders. Casey Jr. ran on a pro-life, pro-gun platform in his initial bid for the Senate in 2006, and continues to put forth a pro-life image to his moderate supporters, despite his recent pro-choice voting record. Casey has a 100% approval rating from the pro-abortion group, National Association for the Repeal of Abortion Laws (NARAL), and has a mere 20% pro-life voting record in the 115th Congress. While casting himself as the Senate’s iconic blue-collar friendly, pro-life Democrat, Senator Casey has stood with Planned Parenthood consistently, insisting that the abortion giant will reduce abortions in the United States. 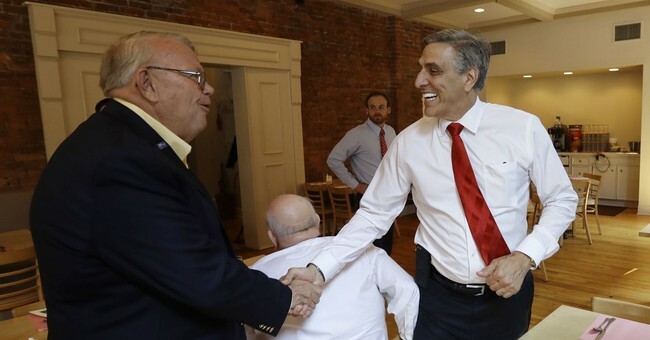 Congressman Lou Barletta has consistently voted to defund Planned Parenthood, keep the Hyde Amendment intact and make abortion illegal after a baby’s viability, earning a 100% pro-life voting record. The National Right to Life Committee’s endorsement of Rep. Lou Barletta in the contentious Pennsylvania Senate race goes further than to support Barletta’s spotless pro-life record. The Committee’s strong backing of Barletta is a referendum on Casey’s deceit to his constituents about his views on abortion, despite the incumbent Senator’s best efforts to carry on his Father’s pro-life image.